The 123rd Devon County Show was unveiled on Friday, April 20 amid talk about the impact of the late spring on Devon farmers and giant inflatable sea creatures. 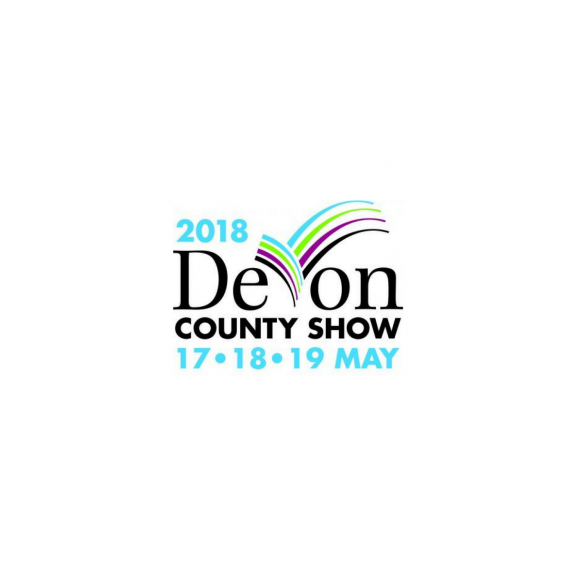 The Show will be held on May 17, 18 and 19 at the Westpoint showground, Exeter. “What with the weather and all the Brexit uncertainty it will be a relief to be reminded of all the good things about farming in Devon - the quality of our livestock, the strength of our supply industry, the wonderful food and drink that we produce and the incredibly strong sense of community that there is among the family farms of Devon,” he added. For Show Secretary Ollie Allen this will be her 22nd County Show and final year at the helm but she said that no two shows were ever the same: “My passion to be part of an event which appeals to every strand of the Devon community only gets stronger year on year. And this year I’m certain we’re going to pull it off yet again! “Of course, there will be an abundance of wonderful local food from a county bursting with a huge variety of local produce thanks to Devon’s two coastlines, moorland, rich rolling pastures and sheltered south-facing estuaries. The County Show launch is just a few days before British Beef Week (April 23-30) and the food served to guests included Red Ruby Devon beef. Deborah Clark, owner of Southernhay House in Exeter which sponsored the launch, said: “Every one of us at Southernhay House, from the hippest hipster to the Labrador lover, looks forward to the County Show each year with excitement. The two most prestigious awards in the world of British cattle breeding will be contested for the first time at the Show; the Burke Trophies are awarded to dairy and beef breeds. What happens is that the best pair of animals from each breed entered will be selected in the dairy and beef sections. The final judge-off between breeds will pre-empt the Grand Parade of Livestock in the Rathbones Main Arena on Friday afternoon. The NEW Watering Hole is a huge red and blue marquee accommodating street food, live music and plenty of seats. For the first time, music will spill on into the evening with Queen tribute band Rhapsody on Thursday and a Sparks tribute act on Friday. The NEW Ocean Discovery Zone is major marine conservation area bringing together organisations involved in conservation, education and research. There will be life-sized inflatable ocean creatures plus hands-on activities. The Royal Wedding takes place on Show Saturday and we’ll be throwing the biggest party in the county (probably!). The Watering Hole will show live TV coverage, there will be a mass confetti throw and a head gear competition. In the Crafts and Gardens feature and the BBC marquee, there will be two wedding trees for visitors to write their good wishes; after the Show, the messages will be collected and sent to the Royal couple together with a Devon tree sapling to reflect the wedding day and also the Queen’s Commonwealth Canopy project ( thercs.org/our-work/campaigns/the-queens-commonwealth-canopy) . Displays to commemorate the centenary of the First World War including how the Women’s Land Army in Devon helped to feed the nation; some of the 30,000 poppies, hand-made last year to remember the lives lost from the South West, will be sold in aid of the Royal British Legion. A glorious church flower competition to mark the hard work of the unsung church flower arrangers with a pedestal competition in the entrance section to the marquee. Pedestal displays from Devon churches will be judged by Show visitors. NEW zorb football competitions between local sports teams and groups will be held in the Rathbones Main Arena. The game is hilarious and heats will be held on Thursday afternoon and the semi-final and final will take place on Saturday afternoon. Also, in the Rathbones main arena, will be the Monster Trucks (Friday and Saturday), show jumping competitions, the Grand Parades of Livestock (Friday and Saturday) and a Massey Ferguson tractor parade. NEW Mini-Monster Trucks will be driving around in the area next to the Show Office and will enable the children who are in awe of the Monster Trucks to drive a replica model. This is the fifth year of the Devon Farm Business Awards, run in association with the Addington Fund and Stephens Scown LLP. Awards will be presented at a gala dinner on the Showground on the eve of the Show. Mole Valley Farmers will once again have a major presence to showcase their goods and services.